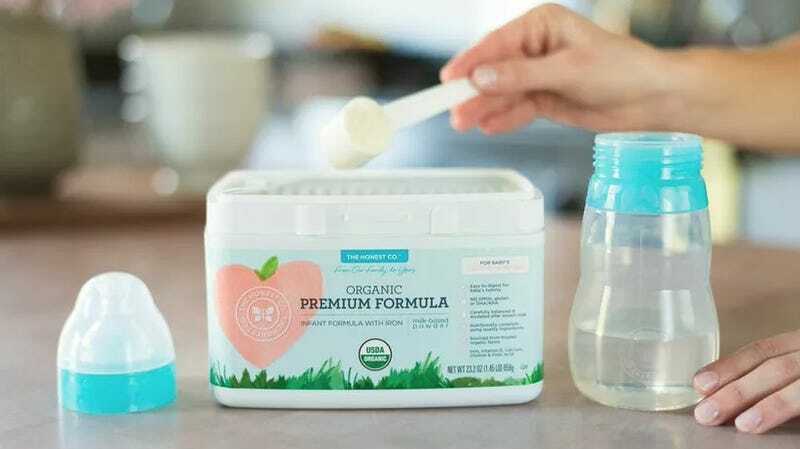 Well, here we are again: Jessica Alba’s Honest Company has been hit with another lawsuit, this time concerning whether their Organic Infant Formula really counts as organic. The Organic Consumers Association describes itself in the suit as a nonprofit “public interest organization” whose “mission includes the preservation of strict organic standards.” Judging from their Facebook page, they are very big fans of GMO labelling. They are likely more invested in transparent packaging and zealous adherence to the “organic” rules than your average grocery shopper. But Honest Company’s whole pitch—which has been successful enough they grabbed a $1.7 billion valuation on their last round of VC fundraising— is based on all-natural organic honesty. We’ve contacted Honest Company for a statement and will update if we hear anything back. Our Organic Infant Formula is cleared by the Food and Drug Administration and meets all safety and nutritional standards. It is also certified USDA Organic by an independent third party, in strict accordance with the National Organic Program. We are confident this lawsuit will be dismissed. Image via Honest Company website.